UPDATE: Added an excerpt from the LA Times as well. 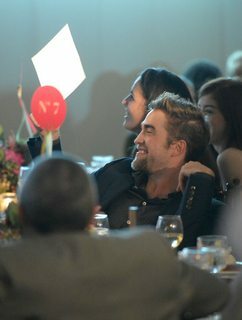 Underneath the Variety article. 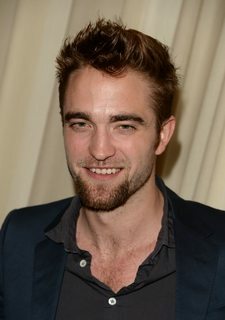 Robert Pattinson a.k.a. 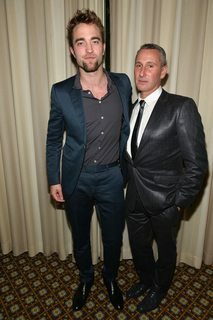 Mr. Gucci, was quite the hit at last nights charity gala for the Go Campaign. We collected all the HQ pics from the night so far for you to download. 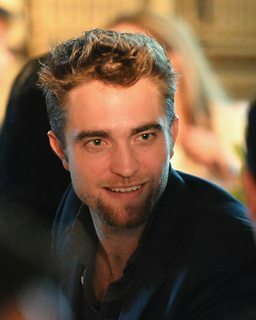 Click HERE to download the HQ set! 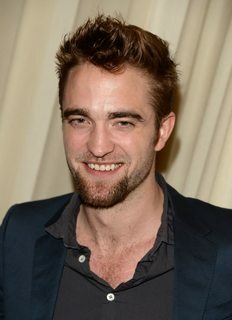 The scrufftee is win win win. 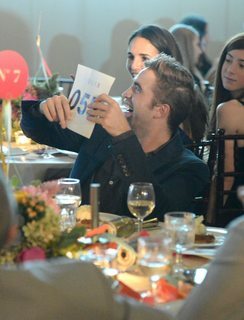 EVERYTHING about Rob is win win win. 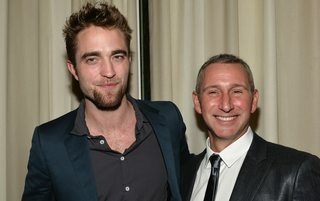 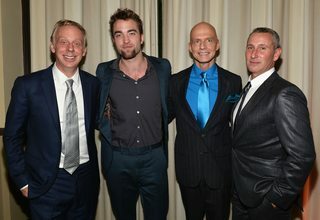 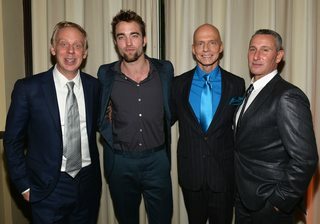 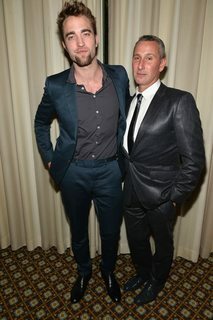 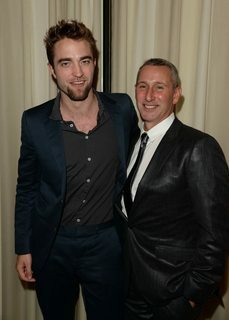 Rob posing with Adam Shankman. 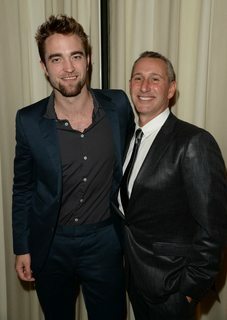 I want to EAT HIM (Rob...not Adam, sweet as his smile is). 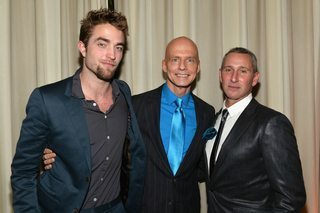 Rob has some history with Adam Shankman (and Dermot Mulroney who was also at the event). 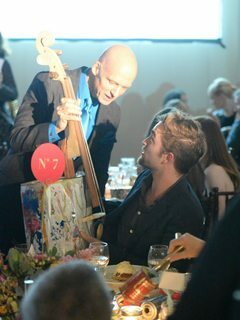 Do you remember THIS musical gem featuring Rob on guitar? 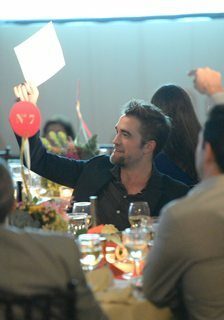 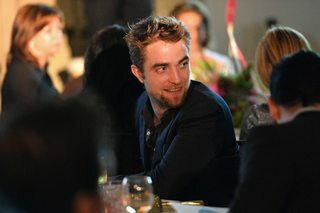 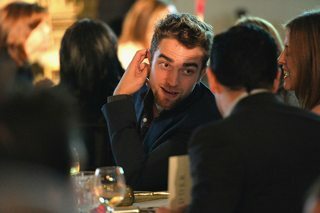 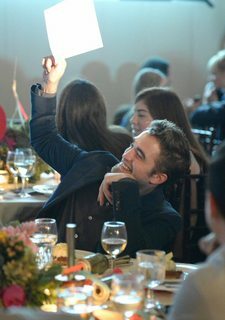 Robert Pattinson was the toast of the town Thursday night at the sixth annual GO GO Gala. 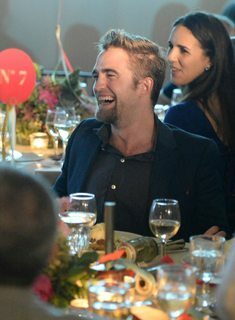 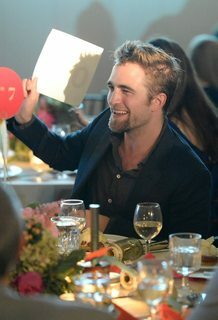 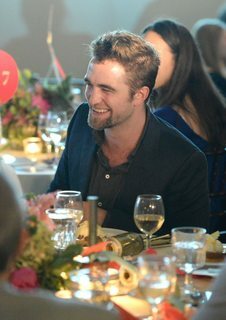 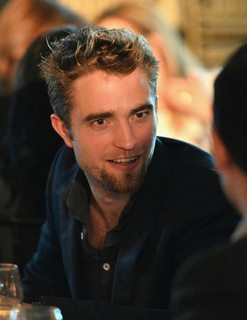 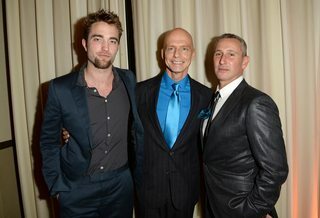 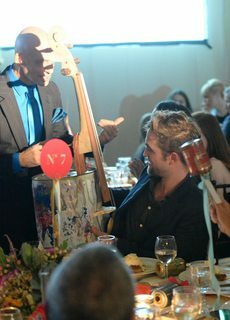 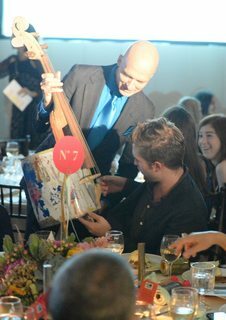 GO Campaign co-founder and CEO Scott Fifer thanked Pattinson on behalf of the 25 impoverished Cambodian girls he indirectly helped with an auction contribution. 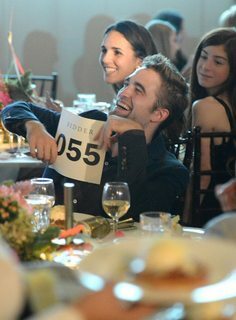 The actor donated a meet-and-greet on the set of “Twilight: Breaking Dawn” for the non-profit’s online auction two years ago that sold to woman in Chicago for $80,000. 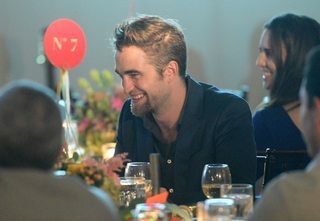 That funding led to the creation of a Program Advancing Girls’ Education (PAGE) in Cambodia. The Recycled Orchestra, which plays instruments made from garbage found in landfills, also performed last night, eliciting a standing ovation from the crowd. 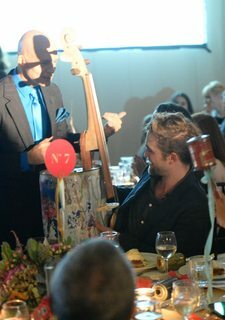 Maracas hand-made with beer and tomato paste cans adorned the tables. 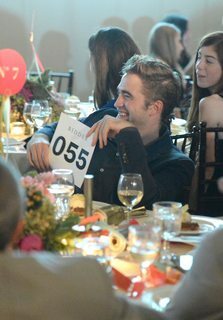 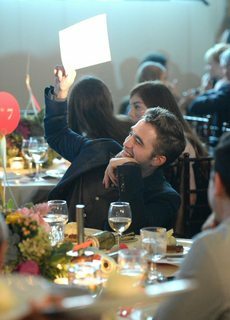 Auction sales have contributed mightily to the charity’s revenue, and actor Robert Pattinson, for one, has supported the GO Campaign as a buyer and seller. 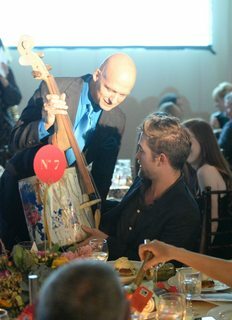 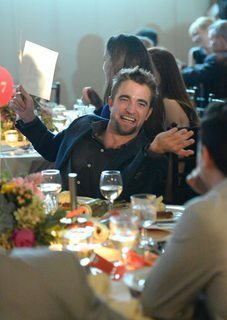 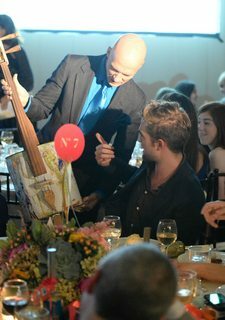 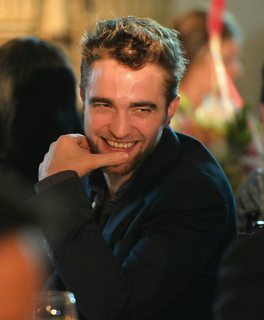 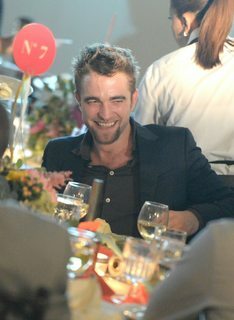 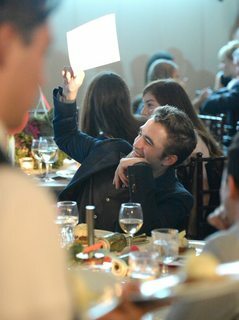 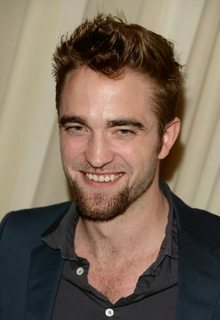 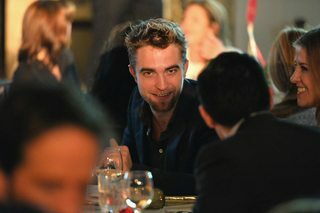 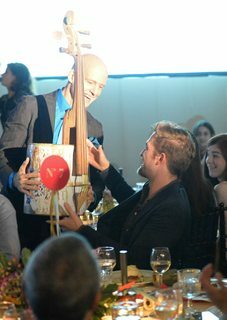 In addition to winning a recycled cello at the Nov. 14 shindig with his high bid of $5,600, Pattinson previously helped build a girls’ home in Cambodia by offering himself up for a “meet and greet” on the set of “The Twilight Saga: Breaking Dawn.” Bidding online at Charitybuzz.com, a Chicago woman reportedly paid $80,000 for that privilege. 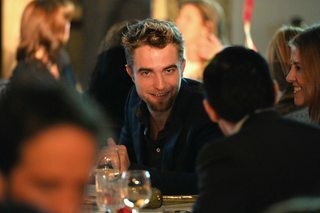 Oh wow. 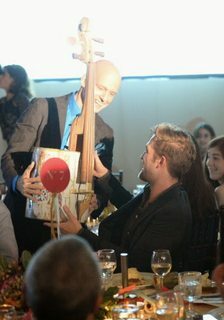 :') Click HERE to read more about the event! 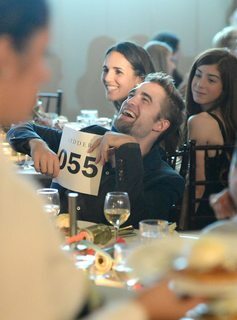 Learn more about the event and click HERE to check out videos and HERE to see some great fan pics! 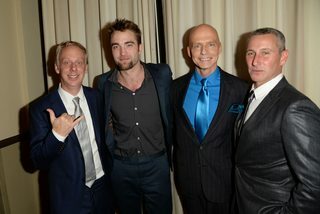 What a night!!! 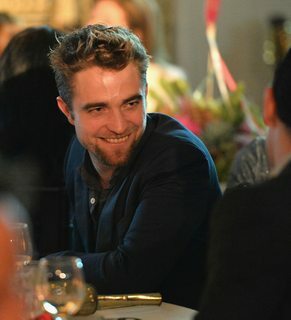 60+ HQ pics after the cut! 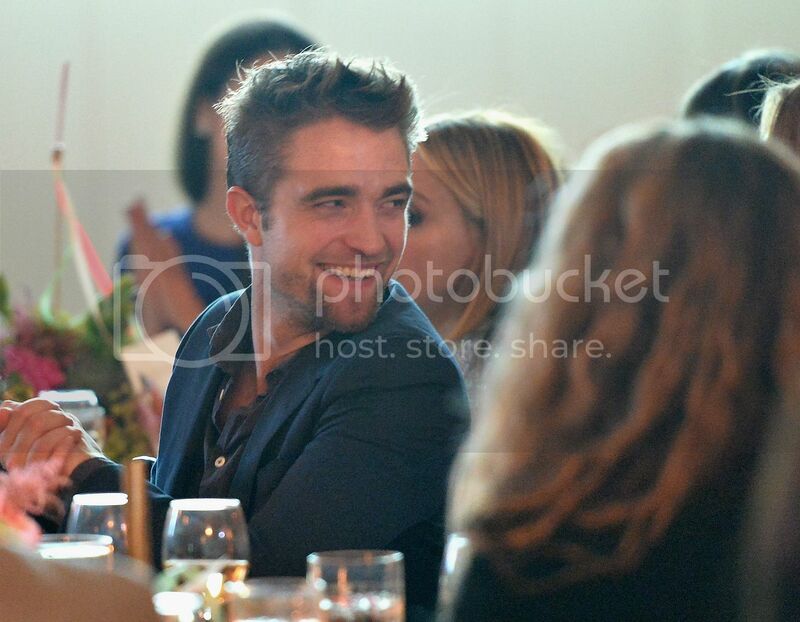 Click to download individual pics or click HERE to download the set! 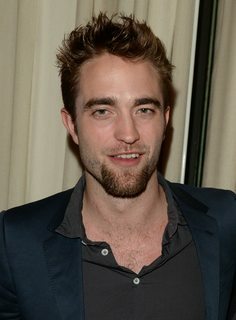 Labels: charity, Charity work, chest hair, He is so sweet, He's a giver, I want to eat him, Rob loves music, Robert Pattinson, the most delicious scruff in the world :), why so handsome Rob?